It seems like, in spite of the last few months having seen slower (but still solid) sales for the Nintendo Switch, compared to the mad rush from last year, it is still expected to end this year as the top selling console, at least in the United States. In a new update, NPD’s Mat Piscatella confirmed that the firm predicts the Switch to end up as the top selling console in the US for this year, buoyed by strong last quarter sales on the back of Pokemon Let’s Go and Super Smash Bros. Ultimate– which I myself can certainly see happening. That said, neither game will end up in the top 10 games of the year (by revenue)- which is understandable, because Pokemon is split into two units (one for each version), while Smash releases in the second week of December, so it doesn’t get enough time. Instead, the highest selling game of the year is predicted to be – and I am sure this comes as a surprise to you – Red Dead Redemption 2. It’s going to be followed by Black Ops 4, Battlefield 5, NBA 2K19, Far Cry 5, Madden NFL 19, Fallout 76, God of War, Monster Hunter World, and Spider-Man. There’s even more good news- the NPD Group projects that the installed base of PS4 and Xbox One will surpass that of the PS2 and original Xbox in the equivalent time frame by 6%, and that of the PS3 and Xbox 360 by 30%. 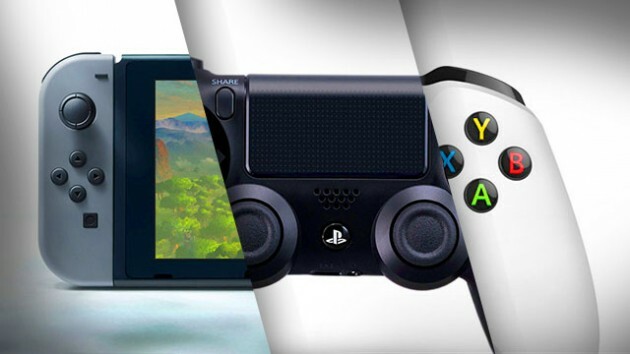 Meanwhile, while Switch is predicted to come out on top, it, PS4, and Xbox One are all predicted to sell at least four million units in 2018 in the United States, with total sales for the three consoles cumulatively projected to be 17.5 million units- the highest achieved in the US since 2012. This is why we need a strong Nintendo, folks. Regardless, this should be a great year for fans of video games across the board, no matter what system you own. Fortnite Season 5 Teased With A Mysterious Image Showing An… Ax?